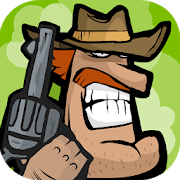 Get ready to take on the good, the bad and the particularly ugly zombies! Think you can you gunsling your way through the zombie wasteland? In a vibrant and characterful world, see if you can shoot your way through the frontier to be the top zombie survival expert!